MPPT – Max Power Point Tracking – What is It? 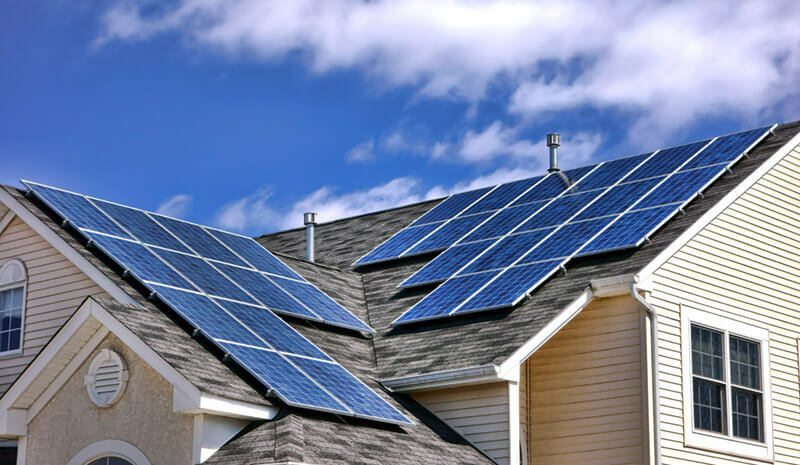 The output from the Solar Energy system will change due to variables of the system. As the sun tracks across the photovoltaic cells, power output changes due to changes in the irradiance level and temperature. Due to the fact that there is a single operating point, at any output current level, where the values of the current (I) and voltage (E) of the solar energy system result in maximum power output. These values correspond to a particular resistance (R), which is equal to E/I as stated by Ohm’s Law (R = E/I). A PV cell has an exponential relationship between current and voltage, and the maximum power point (MPP) occurs at the knee of the curve, where the resistance is equal to the negative of the differential resistance (E/I = -dE/dI). Maximum power point trackers utilize the control circuits with logic in a search for this point and this, in turn, allows for the inverter circuit to extract the maximum power available from the PV array at any given output level. As not all inverters have MPPT capability (as this adds cost), most modern solar inverters that are grid-tied do have at least 1 MPPT tracking circuit built into them. A solar array (or PV module/cell) has a limited amount of energy (DC) supply and has internal impedance’s that vary throughout a day. Conditions during sunlight hours such as irradiation, temperature, and shading all affect the amount of DC current that can be produced by the device. An inverter without an MPPT circuit would result in lower efficiency operating outputs between any PV module (or string) and the inverter. Unless the inverter can match the PV strings to extract maximum power the result is a lower power output during operation for the connected strings. The MPPT circuit constantly monitors the array voltage and current and attempts to drive the operating point of the inverter to the maximum power point of the array, resulting in the highest energy harvest. 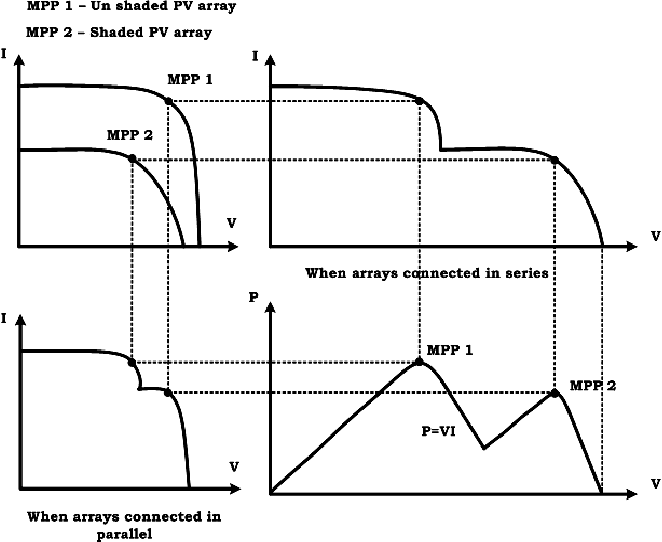 Bottom line, the MPPT is designed to increase the amount of power you get from your PV array. They are worth having in most circumstances. Inverters – How Many MPPTs should I have? This depends on how many strings you have. If you have one PV string then 1 MPP Tracker is fine. If you have multiple PV strings then its often the best case to have one MPPT for each string. Different inverter companies offer string inverters with upwards of 6 MPPT trackers. Inverters typically have 2 to 4 inputs per MPPT tracker as the idea of balancing cost with efficiency is important. A 20kW inverter with 4 MPPT trackers could have 4 PV strings plugged at 5kW per string. This would allow each string to be independently optimized based on temperature, shade, dust levels, and irradiation. For very large systems with central inverters, we typically see the inverter with few MPPT’s. This is due to the multiple combiner box strings that plug into the inverter. Some combiner box companies have even begun to add MPPT into the combiner to help improve the string efficiency before they land in the large central inverter. The bottom line for light commercial systems, try to get a system with no more than 2 or 3 strings utilizing 1 MPPT tracker (commercial systems). For residential systems try to get 1 MPPT per string. Its common now to see residential inverters with 4 MPPT trackers. With independent MPPT channels, the inverter can provide monitoring information at the MPPT channel level. As a result, there is a finer granularity in the monitoring data, such as site status, energy production, and troubleshooting data. This is important because, depending upon the system design, the loading of the two channels can be different. Therefore, for small systems (with one string per MPPT channel), data collection essentially happens at the string level. For larger residential systems (with up to two strings per MPPT channel), data collection is reported at the two-string level. Therefore, in addition to providing proper energy harvest values per channel, the user can understand what is happening at each input at any time. This can be helpful in troubleshooting abnormal conditions at a given inverter input.